In the last few years, the computing systems processing capabilities have increased significantly, changing from single-core to multi-core and even many-core systems. Accompanying this evolution, local networks have also become faster, with multi-gigabit technologies like Infiniband, Myrinet and 10G Ethernet. Parallel/distributed programming tools and standards, like POSIX Threads, OpenMP and MPI, have helped to explore these technologies and have been frequently combined, giving rise to Hybrid Programming Models. Recently, co-processors like GPUs and FPGAs, started to be used as accelerators, requiring specialized frameworks (like CUDA for NVIDIA GPUs). Presented with so much heterogeneity, the industry formulated the OpenCL specification, as a standard to explore heterogeneous systems. However, in the context of cluster computing, one problem surfaces: OpenCL only enables a developer to use the devices that are present in the local machine. With many processor devices scattered across cluster nodes (CPUs, GPUs and other co-processors), it then became important to enable software developers to take full advantage of the full cluster device set. This dissertation demonstrates and evaluates an OpenCL extension, named clOpenCL, which supports the simple deployment and efficient running of OpenCL-based parallel applications that may span several cluster nodes, thus expanding the original single-node OpenCL model. 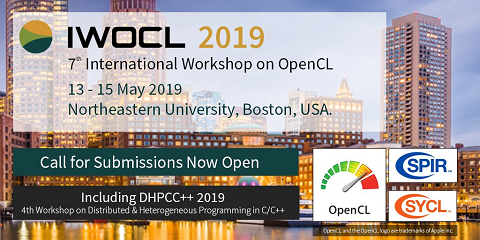 The main contributions are that clOpenCL i) offers a transparent approach to the porting of traditional OpenCL applications to cluster environments and ii) provides significant performance increases over classical (non-)hybrid parallel approaches.